Linda Dodd was born and raised in Regina. In turn, she has raised two fine women (Kendra and Alison) - single-handedly, though with “the help of the village”! She obtained her B.Ed at the UofR and has done some graduate work at Concordia University. She taught at Harrow de Groot School and Balfour Collegiate, SIAST and the UofR. 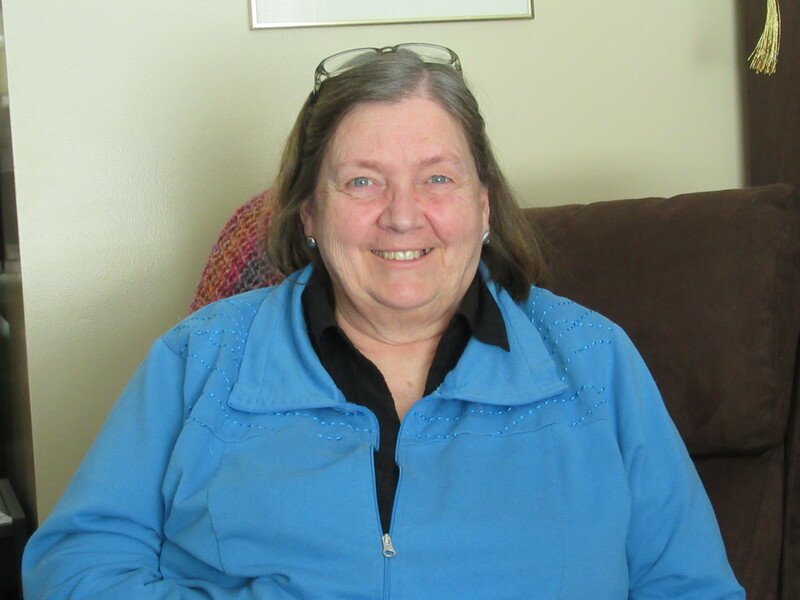 Since 1983, she has been the Outdoor Environmental Education (OEE) Consultant with the Regina Public School Board, S.D. Dealing mainly with the K-8 schools, she coordinated, scheduled, and supervised physical activity programs dealing with swimming, curling, canoeing, track, cross country running, skiing, etc. She led or helped conduct in-service workshops for teachers to the 23 sites in the area that the schools use for OEE. She helped teachers prepare for outdoor schools, conducted sessions on nature and the outdoors, and was involved with curriculum work. Linda is one of these WILD women - thanks to that project that was introduced to Saskatchewan in the mid-1980’s. Since 1989, Project Wild has expanded into Project WET, and SOILS - even SnoWILD (Below Zero) and WILD about ELK. Linda has been a participant, a facilitator and/or a facilitator trainer for these WILD programs. She is a Focus on Forest facilitator, understands the First Nations Environment & Conservation Principles, and was a SEEDS fellow in 1995. She has presented at ASSIST - A Science Summer Institute for SK Teachers. She helped write materials and facilitated workshops and training for Climate Change Education. She was also involved in a Native Prairie Ecosystem Project sponsored by the Saskatchewan Watershed Authority. During her career, Linda has conducted 100’s of workshops reaching thousands of teachers! Aside from these great achievements, she was a Member-at-Large (MAL) with SOEEA in the late 1980s and early 1990s, and as a lifelong learner, has attended many conferences, tours and workshops with an environmental focus. These have included NAAEE (North American Association for Environmental Education), ATA (Alberta Teachers’ Association), EdGeoSci IV, Saskatchewan Mining Association Teachers’ Tour, and the Weyerhauser Teacher Tour. She loves to explore Saskatchewan environments! Linda is always passionate about her work bringing energy and joy to it. She delights in working with students and teachers and in making new discoveries. As she says: “Seeing bright eyes, as a child finds a new treasure under a leaf, comes across a fresh animal track, or tastes a wild onion, is extremely rewarding.” “I love working in the out-of-doors with children to see their awe and their enthusiasm --- their sense of adventure over the smallest creature. They are our future and we need to keep them informed aobut the natural world and their place in it. Give me my hiking boots and a class of children any day over the office!” You can appreciate her philosophy: OEE is learning about the natural world around us, and how we, as people, are part of the whole picture. Linda believes it is important that children know and appreciate their role in the outdoors! Linda Dodd Melanson Award Citation, SOEEA, 2006.